We have lots of posters that you could view. We urge you to download them and share it with your community. Thank you. 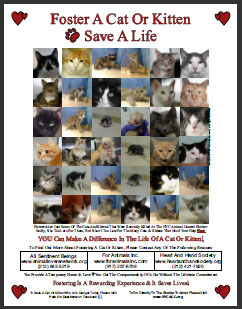 Fostering save lives. 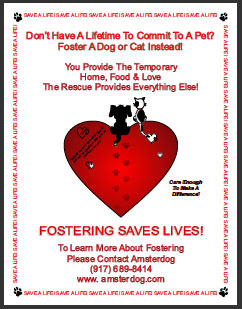 If you can't adopt, maybe you can foster. There's no monetary cost. 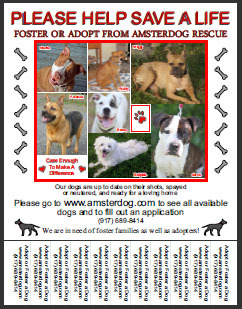 All vetting, food, treats, etc. are paid for. All you have to do is to share your love, home, and family. 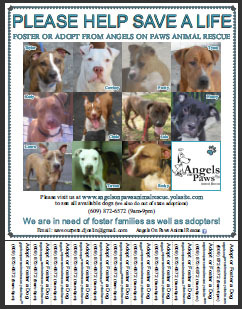 Both of the rescues featured in the posters, allow out-of-state fosters and adopters.